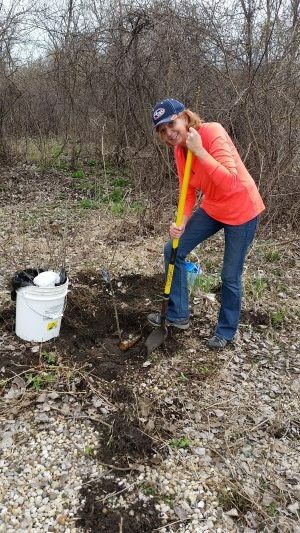 Nature At The Confluence is working hard to help bring awareness to the plight of the Monarch butterfly. We worked with South Beloit Mayor Ted Rehl in 2017 to encourage him to sign the Mayor’s Monarch Pledge. In doing so, we joined over 320 other communities committed to helping monarch, and we proclaimed South Beloit as a “Monarch City”. 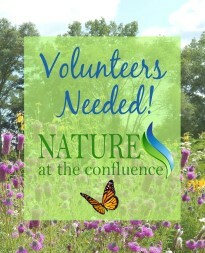 Nature At The Confluence is now committed to spreading the word on how we, as a community, can help monarchs. 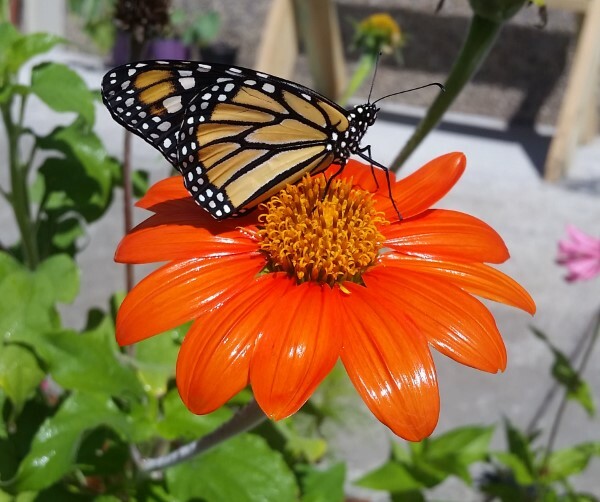 We are registered as a “Monarch Waystation” with Monarch Watch. Monarch Waystations are places that provide resources necessary for monarchs to produce successive generations and sustain their migration. 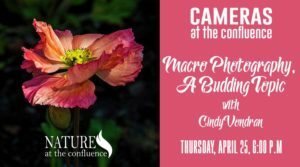 It’s simple to do, and you can do it too in your own yard or business! 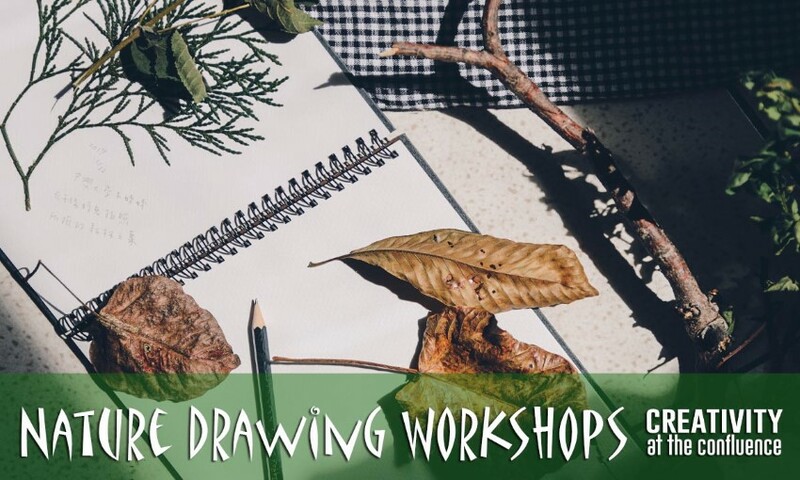 We offer many educational opportunities to adults and children throughout the year. 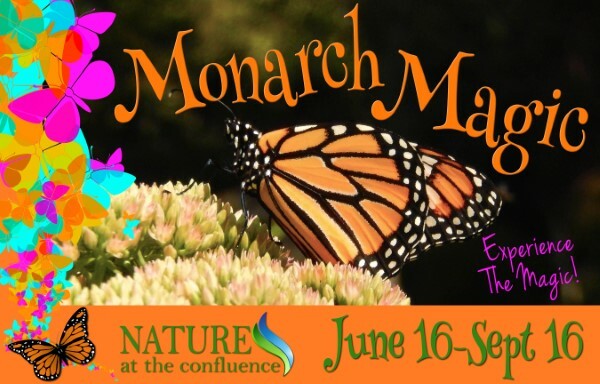 Our Monarch Magic live exhibit runs from june-Sept 2018, offering people the opportunity to see learn all about the monarch life cycle and how they can help the monarch. Why milkweed? Milkweed is the host plant for monarchs—the lone plant on which the butterflies lay their eggs in spring and the only food source for monarch larvae. One reason monarchs are failing is that milkweed is disappearing from the American landscape. Scientists blame land-use practices such as farming with crops genetically modified to resist herbicides. The herbicides kill plants such as milkweed that grow around farm fields and have no such protection. Urban sprawl and development have also affected monarch habitat. Without milkweed throughout their spring and summer breeding areas in North America, monarchs would not be able to produce the successive generations that culminate in the migration each fall. Similarly, without nectar from flowers these fall migratory monarch butterflies would be unable to make their long journey to overwintering grounds in Mexico. The need for host plants for larvae and energy sources for adults applies to all monarch and butterfly populations around the world. It’s really fun and educational to raise a monarch from egg or caterpillar stage, to releasing an adult monarch. It’s easy to do and it’s very rewarding! Learn all about it in videos and links below. Below are a series of helpful videos made by monarch expert Rich Lund.